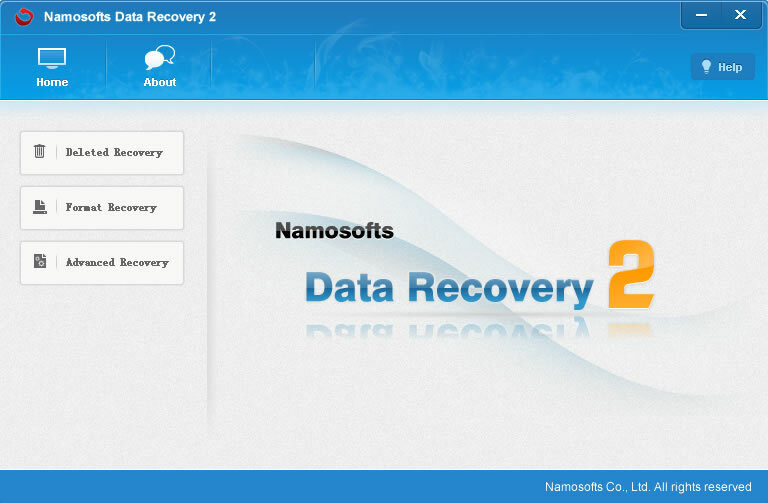 Namosofts Data Recovery 2 est une application basée sur Windows conçue spécialement pour restaurer les fichiers de disques endommagés. L'offre gratuite du jour pour Namosofts Data Recovery 2 était valable le 25 juin 2012! 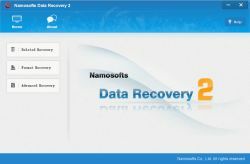 Namosofts Data Recovery 2 est une application basée sur Windows conçue spécialement pour restaurer les fichiers de disques endommagés, égratignés, formatés, infectés par un virus ou défectueux et provenant de médias numériques. Avec cet outil, vous pouvez facilement restaurer les fichiers, dossiers ou fichiers supprimés. il prend également en charge la restauration à partir de médias numériques, restaure les fichiers ou dossiers perdus, les documents Office, les emails, les images, la musique, les fichiers audios et vidéos à partir de disques amovibles, USB, appareils photo numériques, cartes mémoire, etc. La dernière version de Namosofts Data Recovery pour Windows est équipée avec de nombreuses fonctionnalités qui résolvent efficacement les problèmes posés par la version précédente comme une restauration incomplète, des fichiers ou dossiers non trouvés, fichiers restaurés impossibles à ouvrir, etc. 4. Run Data Recovery 2... Original name, btw! Recovery of "TEST" file (above) failed... File was not even detected, let alone recovered! Recovery of other files (tested just to assess quality/speed of recovery): Despite successful recovery, the recovered files did not open and resulted corrupted! Data Recovery 2 was uninstalled on the double. Save yourself some time and pass on this one... Plenty of perfectly working freeware available! Because of the copious freeware available one would expect shareware data recovery applications to outperform the existing freeware and/or to offer some unique features... Sadly and most definitely not applying to today's promotion! <strong> Super thumb down!</strong> Carried out the standard tests: 1. Created "TEST" file 2. Opened file (edited content + saved changes) 3. Shift-deleted "TEST" file 4. Run Data Recovery 2... Original name, btw! Results (all negative): Slow performance Misspelled GUI dialogs/commands Inability to maximize GUI Inability to search (or insert any name/extension) Recovery of "TEST" file (above) failed... File was not even detected, let alone recovered! Recovery of other files (tested just to assess quality/speed of recovery): Despite successful recovery, the recovered files did not open and resulted corrupted! <strong>Data Recovery 2 was uninstalled on the double. </strong> Conclusion: Save yourself some time and pass on this one... Plenty of perfectly working freeware available! Because of the copious freeware available one would expect shareware data recovery applications to outperform the existing freeware and/or to offer some unique features... Sadly and most definitely not applying to today's promotion! Sheesh, I don't know if this makes me a jerk or something, but I'm getting really tired of seeing applications from developers that have a freeware counterpart, especially when the freeware options are just as good -- or better -- than the developer's program. Plus it kinda leaves a bad taste in my mouth when I see developers publishing content like this, because they obviously know there are just-as-capable freeware counterparts out there, but they're whole business strategy is taking advantage of casual PC users with disposable income who don't know any better, or fall victim to the impulse-buying that the publisher's advertising campaign relies upon. This is a terrific all in one data recovery tool designed to recover data even from formatted, deleted or corrupted partitions. The only downside is that the free version limits restoration only to a size of 1GB. So why pay money when something equally as effective or even better is available for free ??? Installed Namosofts Data Recovery 2 on XP home sp3 Netbook. Ran it on my 500GB HDD....0! Yes, it found ZERO deleted files! Ran Recuva. Recuva found 5,933 deleted files! Ran both on default settings. Something seriously wrong with Namosofts Data Recovery 2. Unistalled. Installed Namosofts Data Recovery 2 on XP home sp3 Netbook. Ran it on my 500GB HDD....0! Yes, it found ZERO deleted files! Ran Recuva. Recuva found 5,933 deleted files! Ran both on default settings. Something seriously wrong with Namosofts Data Recovery 2. Unistalled. Whoa, wait a minute here. "The entire contents of this Site, including but not limited to: Text, graphics, logos, Demo movies, images, audio clips, digital downloads and software, are the property of Namosofts.com and are protected by trademark laws." ...at least somebody is breaking laws. Namosofts reports that they have started business in 2010, but I know I have used TuneUp Utilities 2007 with that same logo. Therefore, it's a very high chance that Namosofts is running on serious copyright infringements. Just a blurb from a copyrights-obsessed user. Whoa, wait a minute here. All else aside, let me point out that the logo Namosoft is using currently is TuneUp Utilities' logo. (http://www.tune-up.com/) Upon further research, I find that Namosoft is using the logo for all of their products (File Recovery, Email Recovery, Music Recovery, to pick out just a few). Namosofts' webiste has no reference of any affiliation with Tune-Up GmbH not to mention that they also have no reference of their physical address. Since Namosofts is claiming: "The entire contents of this Site, including but not limited to: Text, graphics, logos, Demo movies, images, audio clips, digital downloads and software, are the property of Namosofts.com and are protected by trademark laws." ...at least somebody is breaking laws. Namosofts reports that they have started business in 2010, but I know I have used TuneUp Utilities 2007 with that same logo. Therefore, it's a very high chance that Namosofts is running on serious copyright infringements. Namosofts' credibility anyone? Just a blurb from a copyrights-obsessed user.